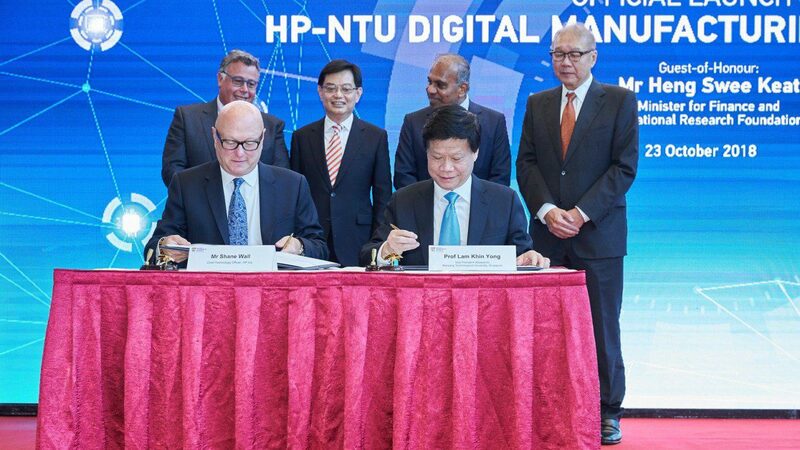 Singapore’s Nanyang Technological University (NTU) is partnering with HP to set up a first-of-its-kind new research lab aimed at advancing digital manufacturing technologies. The $84m lab’s key research focus includes 3D printing, artificial intelligence (AI), machine learning, new materials and applications, cyber security and product customization. The lab’s 100 researchers and staff will prioritise 15 projects in areas such as the use of advanced polymers for manufacturing applications, AI capabilities that enable printers to autonomously predict and solve problems, and malware mitigation, among others.